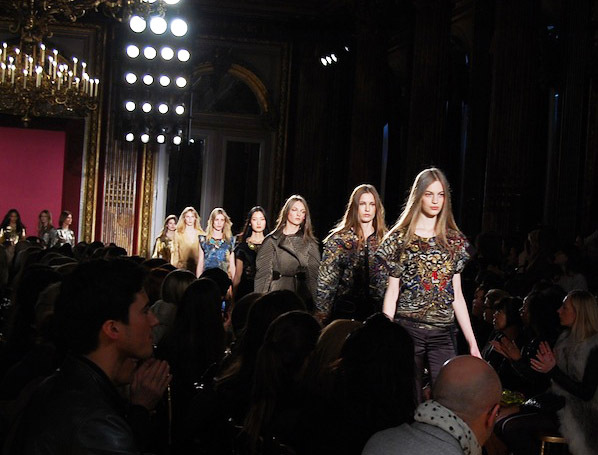 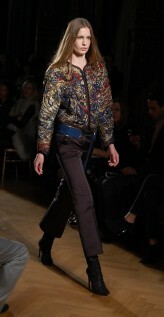 Day three of Paris Fashion Week (1st March): This is the latest show of Barbara Bui Fall Winter 2012 collection, it was held at 4pm in the exquisite Hotel Westin. 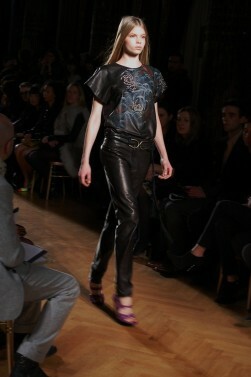 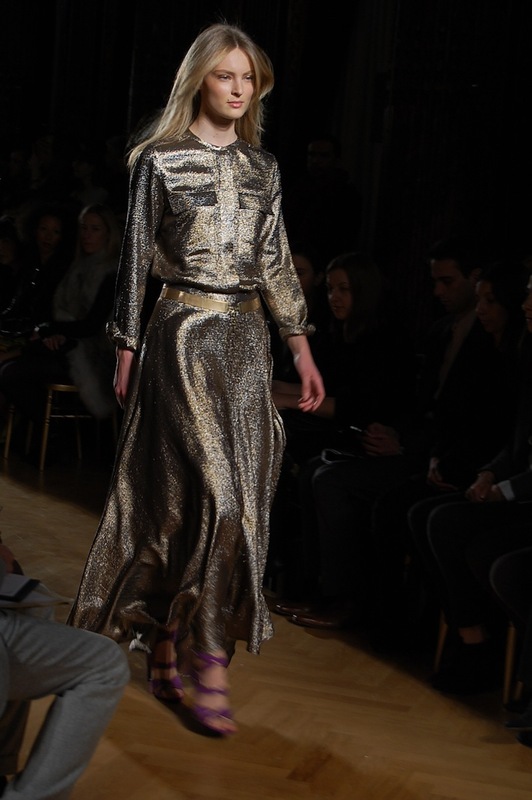 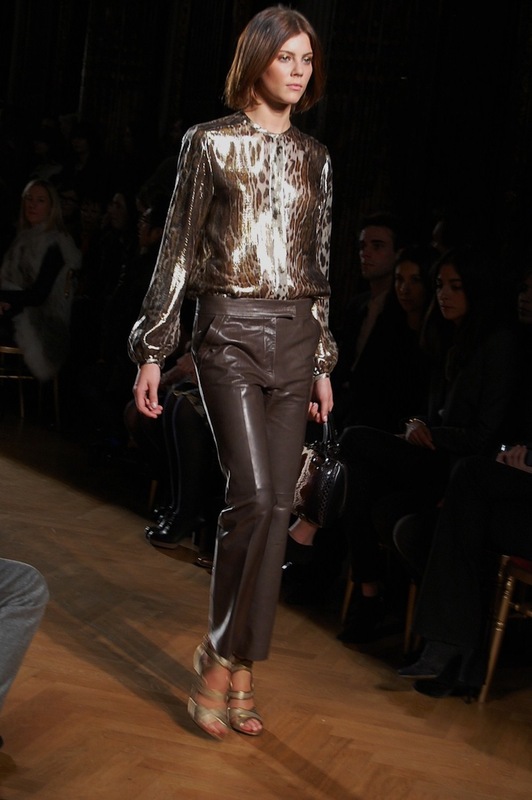 Barbara Bui AW12 collection was subtle and sleek with a simple colour palette. 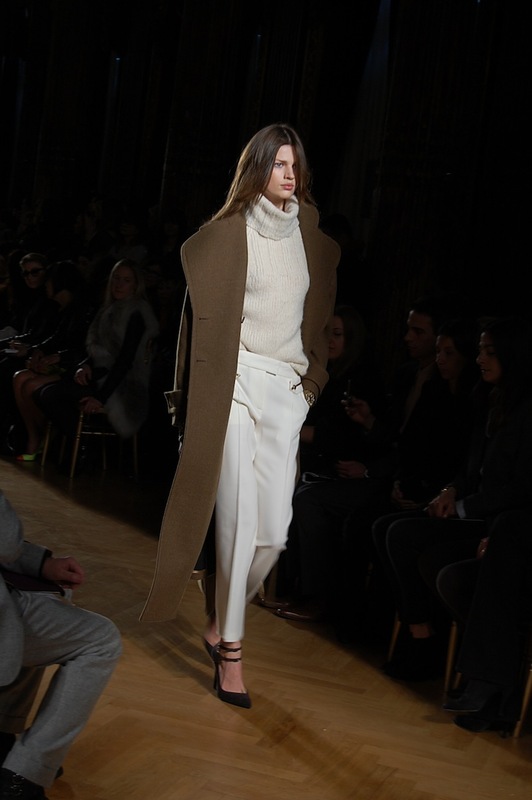 Colours were dominantly creams and khakis on coats and tailored trousers, these pieces presented a primitive and chic look. 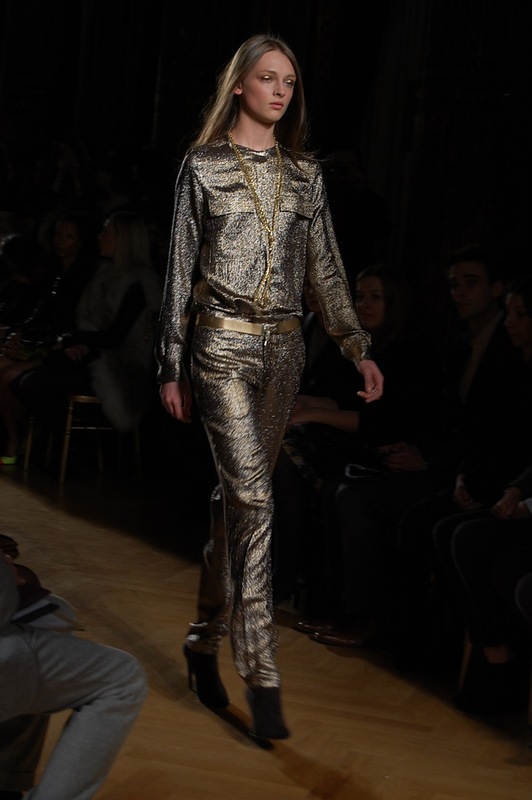 A delicate upsurge of metallic colours followed presenting a dazzling gold jumpsuit which captured centre stage as well as an oriental inspired piece with dragon imagery embroidered beautifully on to the final pieces in the show. 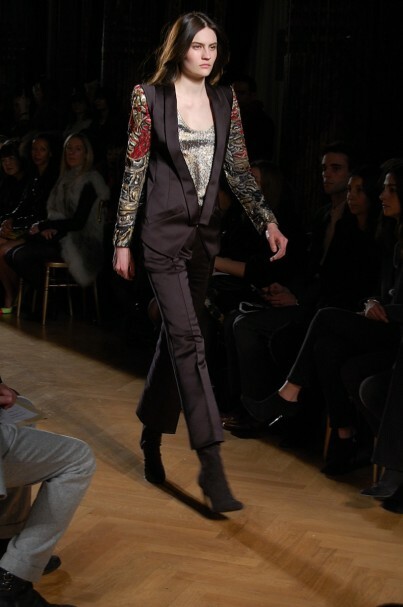 Distinctive for its intricate tailoring the collection focused on elegance and delivered realistic pieces wearable for any occasion.